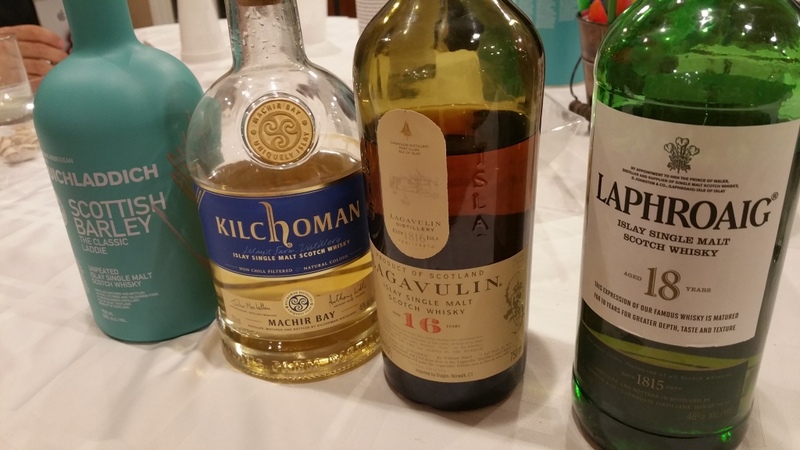 On Sunday, I had the opportunity to take part in a Scotch-tasting* in which all of the whiskies were from Islay. Having had some Islay Scotches here and there, I had not really familiarized myself with whiskies from that island, so this was a good opportunity to get better acquainted. The first we tried was Bruichladdich‘s Scottish Barley Laddie Classic, which was an interesting Islay Scotch to taste, since it was unpeated. Also, never having had any of Bruichladdich’s Scotches, I was quite intrigued by its unique packaging. I found it to be smooth and light, with a bit of a kick. It was the least smooth whiskey of the night. Despite not having been peated, the barley still betrayed some light peateyness. This was interestingly enjoyable. 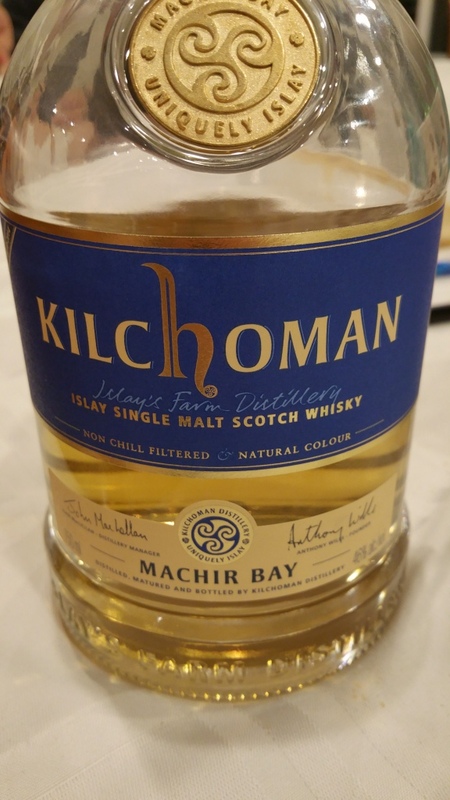 Next up, we had Kilchoman, which had nice legs and was light in color. I found it to be very peatey on the nose. When tasting it, the peateyness carried through with a canopy of smokeyness. I also found it to be soft and smooth – certainly smoother than the Bruichladdich. I found this whiskey to have had the boldest peateyness of the night. I quite enjoyed this whiskey! 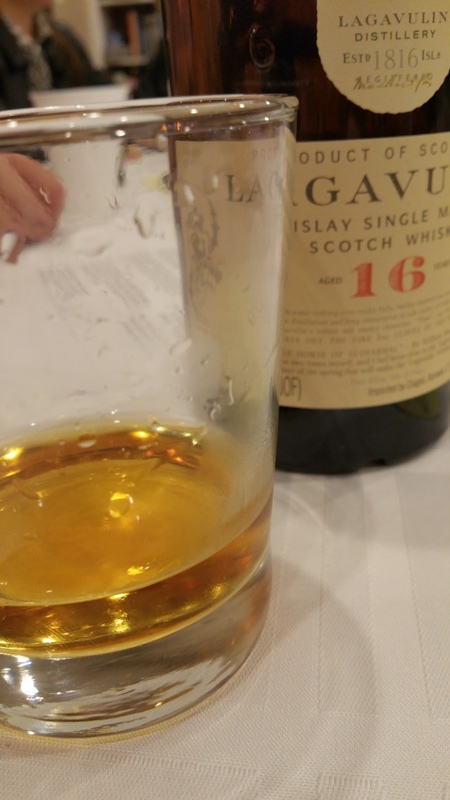 The third Scotch up for the evening was Lagavulin 16, which was a little bit darker than the first two in color. It had a pretty, peatey nose. I found it to be smooth with a lovely smokey flavor. I also found it to have more flavor than the Kilchoman and certainly a more mature smoothness than either of the previous two whiskies. 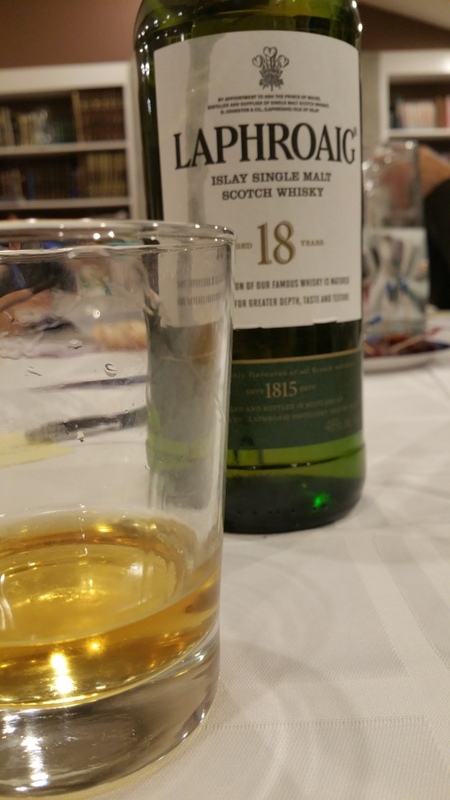 We then had the Laphroaig 18, which was light on the nose, spicy, mellow, and not as peateyness as the previous two whiskies. This was noticeably very smooth and very mellow. Also, it was not as heavily peated as its 10-year-old version, although it was still quite enjoyable. Then, someone else brought an opened bottle of Smokehead, which was fascinating to have next to the other four whiskies. It was light in color and not as peatey of a nose, with a sweetness that reminded me a little bit of apple juice. I found it to be sweet, smooth, and easily drinkable. The finish vanishes with a little flavor aroma. 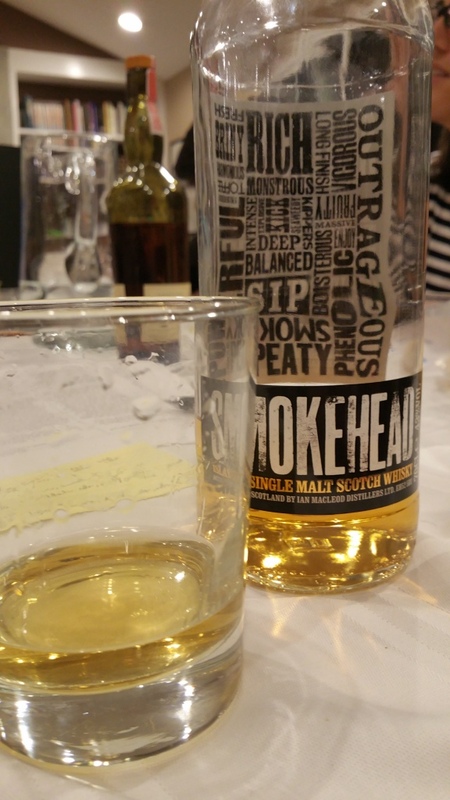 The Smokehead seems like an interesting gateway whiskey for non-Islay drinkers. I greatly enjoyed getting some more Scotch whiskey experience, generally, and Islay experience, in particular. *Okay, it was for work.